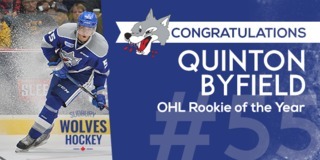 The Sudbury Wolves Hockey Club is pleased to announce three additions to their scouting staff for the upcoming season. Chris McCleary, Ryan Yessie and Jeff Ricciardi join the scouting team for the upcoming season. Mike Taylor, recently appointed Head Scout for the Wolves led the recruitment effort for his scouting team and was pleased with the new additions this summer. 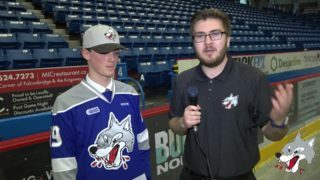 The three new scouts under the leadership of Taylor, will complement our current staff of Sean Howard who has been covering the Ottawa region for the Wolves over the past 16 seasons, Jeff Forsyth who is well known locally within Greater Sudbury hockey community and our US based group of scouts George Bessett, Phil Ryan and Rick Wolf. The Ontario scouting staff is expected to be on hand for the start of Training Camp on August 31st. 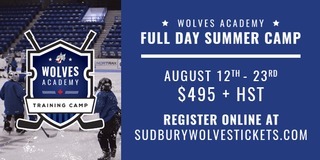 Chris McCleary will oversee the GTHL and OMHA (ETA) for the Wolves. He brings a wealth of experience to the hockey club as for the past nine seasons he served as the Head Scout for the Guelph Storm (OHL). 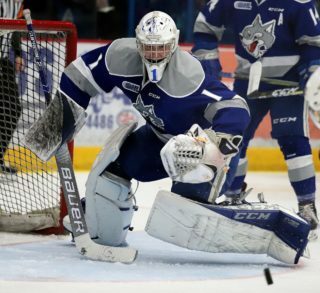 Chris was a member of the 2014 OHL Champion and Memorial Cup Finalist of which he was responsible for drafting 18 of the 23 players on the roster. Prior to that Chris served as an Area Scout with the Storm from 2003-2006. In his full-time career, Chris is the Director, Marketing and Events for the Ontario Minor Hockey Association and previously served as the Director, Events and Hockey Operations with the Canadian Hockey League (CHL). Ryan Yessie, will oversee the Minor Hockey Alliance of Ontario League out of London. 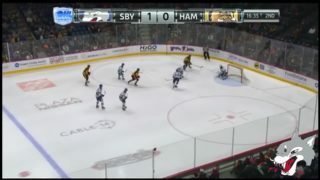 Yessie most recently served as Head Scout for the Independent Scouting Service HOCKEYPROSPECT.COM for the past four seasons. Ryan was responsible for overseeing 3 scouts within the OHL Draft Department. 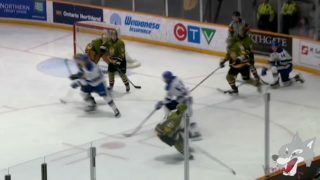 He began with HockeyProspect.com in August 2010 as a Southwestern Ontario Scout and progressed up the ranks to Head Scout. Yessie is also an Assistant Coach with Lambton Jr. Sting AAA Minor Midget Program. Jeff Ricciardi, will oversee the Thunder Bay and Northwestern Ontario region for the Wolves. Ricciardi, is former OHL defenseman with the Ottawa 67s from 1988 to 92 and was an 8th round selection, 159 overall by the Winnipeg Jets in the 1991 NHL Entry Draft. Following his OHL career, Ricciardi, played minor pro in the IHL, ECHL, German, and Italian Leagues. Currently, Ricciardi is heavily involved in coaching and runs Core Hockey, a high calibre development program for hockey players in the Thunder Bay area.